Academic historians do their work well when they illuminate the past, recover controversial figures, and connect the dots to the present. 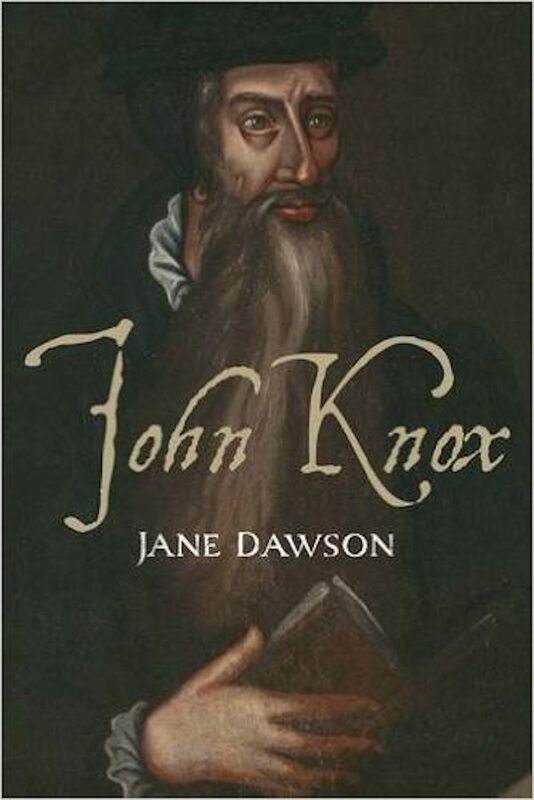 Jane Dawson, professor of ecclesiastical history at the University of Edinburgh, accomplishes all three of these in her magisterial biography, John Knox. While there have been solid academic treatments of John Knox—most notably Jasper Ridley (1968), W. Stanford Reid (1974), Richard Greaves (1980), and Rosalind Marshall (1998)—never before has there been such a thoroughly and sympathetically critical treatment of the 16th-century Scottish reformer’s thought and times. Dawson acknowledges a “darker side to Knox with his ‘holy hatred,’ increasing intransigence, bouts of depression, and gloomy predictions about the future of Protestantism” (3). But she’s also determined not to allow Knox’s darker side to overwhelm her treatment. The result is a joy to read and a book to value. Dawson describes well Knox’s early years, showing how his sense of identity as a man from the banks of the River Tyne set his trajectory. Bound by ties of kinship, shaped by the perspectives of the Scots yeomen among whom he was raised, and lacking the humanist training Luther, Melanchthon, and Calvin all shared, the young Knox would influence the older Knox. And yet there would be differences. Obviously, Knox’s twofold conversion—both to Christ and to the Protestant cause—would change everything for him. Dawson traces three stages in his move away from Roman Catholicism toward a larger role in the rising Scots Protestant movement. The first stage was his determination to stop practicing as a notary apostolic and a Roman Catholic priest. As he transitioned away from his prior commitment to Rome, the Scots Parliament allowed the reading of Scripture in the vernacular. Knox seized on this increased access to the Bible and spent a great deal of time in study. His growth in biblical knowledge would soon be evident to all. The second stage was his meeting with George Wishart in 1543. “Master George” became Knox’s beau ideal of a preacher and Reformer: brave, selfless, prophetic, Wishart was a force of nature who rallied Scots to the Earl of Arran’s reforming cause. As Dawson notes, there’s little doubt Wishart exercised a formative influence on Knox (32). Wishart’s penchant for casting spiritual battles in eschatological form—“Christ versus Satan”—would be Knox’s own preferred mode as well. In addition, Wishart’s insistence on worship being reformed according to Scripture, casting aside Roman “accretions” and rituals, would also be Knox’s demand. Psalm-singing especially became central to Knox’s reformation as a result of Wishart’s influence. The third stage was Knox’s sense of calling to be a Protestant preacher and pastor. This calling, which came forcefully to him during the seizure of St. Andrew’s Castle in 1546–47, would never leave him and would sustain him as he experienced exile from Scotland. His time of exile, along with his 19 months as a galley slave, created a sense of belonging to the true remnant forced out by corrupt elements in church and state. Knox would continue to view the Reformation in just these terms; he was a pastor to those righteous few who went outside the camp to Christ himself. This binary ministerial vision would dominate the way he would preach and lead after 1560. Throughout her treatment, Dawson’s strength is her ability to sketch the political context in which Knox operated. Both during his time of exile in Geneva and Frankfort and after his return, the larger forces of English-Scots politics shaped the moves Knox and his fellow reformers made. Knox’s ally, Christopher Goodman, alienated potential friends in both Scotland and England through his writings, making it difficult for him to return. Knox himself, previously beloved in England, would find the situation changed after he sounded The First Blast of the Trumpet Against the Monstrous Regiment of Women (1558); unlike the time during Edward VI’s reign, when Knox found a ready place in English councils, after 1558 he was persona non grata in Elizabeth’s court. Yale University Press. 373 pages. $45. This political context, both Scots and English, limited what was possible for Knox to accomplish as a reformer. And yet how much he accomplished! Along with the other “Johns,” he helped to write the Scots Confession of Faith (1560); his liturgy, developed in Frankfort with the English remnant, would eventually become “Knox’s liturgy,” and the basis of the Book of Common Order (1564); and he helped craft the First Book of Discipline, a document never adopted but extremely influential in the future of the Church of Scotland (1560). Add together with these three documents his emphasis on psalm-singing and his support of the Geneva Bible, both of which put the Bible in the hands and hearts of laity, and Knox permanently set the direction of Scots Presbyterianism and all its subsequent branches. Knox was not content with a “spirituality of the church” doctrine that avoided “intermeddling” with civil affairs. He regularly used his pulpit to preach for or against state decisions, thundering against Mary’s consorting with Catholics (which was never merely religious), encouraging partnership with the English (with a wary eye to future “apostasy”), and upbraiding the privy council for their folly. The idea his later successors, especially in the 19th-century American South, would develop—that the social or political realm was out of bounds for preachers—would have struck him as odd. Reformation had to come to all of life, Sunday and Monday, church and state. His country was in covenant with God, just like Israel of old; and he was God’s prophet, urging her to repent. Sean Michael Lucas (PhD, Westminster Theological Seminary) is senior pastor at Independent Presbyterian Church (PCA) in Memphis, Tennessee, and Chancellor’s Professor of Church History at Reformed Theological Seminary. He’s author of several books, including For a Continuing Church: The Roots of the Presbyterian Church in America (P&R, 2015). He recently contributed an essay on Lutheran theology after Martin Luther to The Legacy of Luther (Reformation Trust, 2016). You can hear his sermons here.